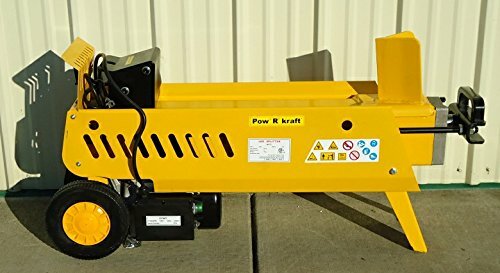 This log splitter is, obviously, powered by electricity through an electrical cord, and is mostly used for medium sized splitting jobs because of its splitting pressure, ranging from 4 to 10 tons. This unit comes with a base plate, cradle, and rod with a wedge on the end. 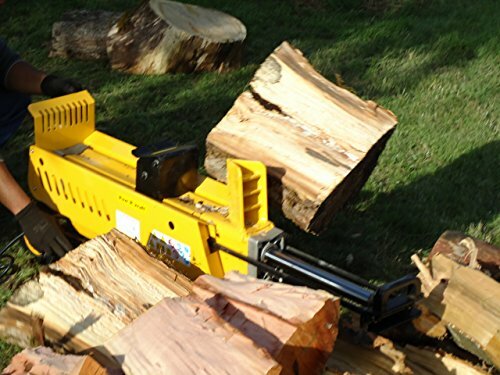 This type of log splitter is usually suitable for home use; however, larger versions of this may also be used for work. Gas log splitters, on the other hand, are powered by gas or petrol. Like the first type, this gas splitter also has a base plate, cradle and a rod with a large wedge on the end. The only difference between it and the electricity powered one is that, this type of equipment is generally heavy and considered as the biggest, sturdiest among other splitters. It’s also very powerful, with its splitting pressure, ranging between 7 and 35 tons. Because of this, it’s mostly used for large sized jobs. Gas log splitters can be used for home or work purposes, making it the highest performing splitter among the mentioned types. This type of log splitter is made with steel and a hydraulic press with a wedge and a rod. It’s manually powered and doesn’t need gas or electricity to make it work and is mostly used by people that have physical limitations. It’s very light and more portable compared to other types of splitters. 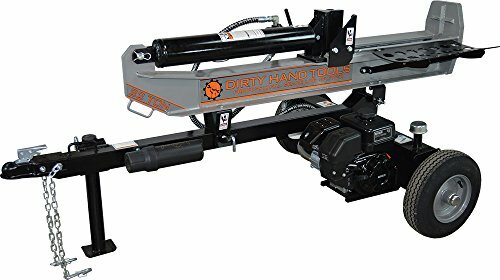 Manual hydraulic hand log splitters have a splitting power of up to 10 tons and are preferred to use on small splitting jobs. These splitters are also manually powered but come in different forms like sliding hammers and wood grenades and are also used for small splitting jobs. These are recommended for splitting 10-12 inch diameter logs. 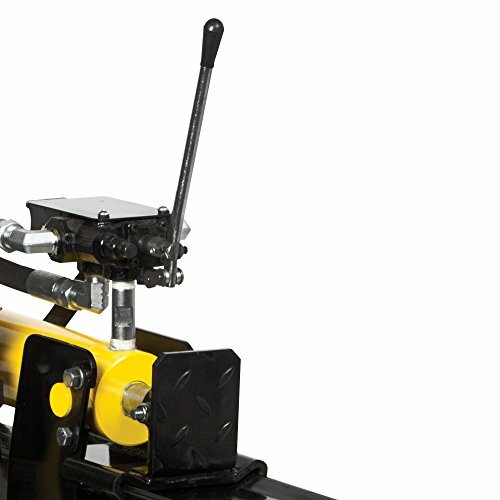 Manual hand log splitters are the cheapest splitters that are available in the market. It’s also easy to transport, making it very convenient to use. Type of Splitting Job: Before anything else, you should always keep in mind what type of task you’ll be using your log splitter with. As what have been mentioned before, the different types of this equipment has a corresponding purpose and has a task that really suits its working condition. It’s very important that you get the log splitter that best matches your cutting needs to avoid waste of time and money from either returning the product or buying a new one. 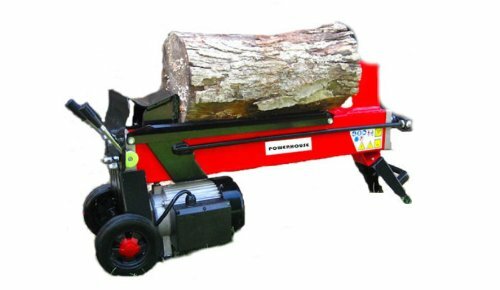 Motor Power: Every log splitter has to have enough power to be able to cut through wood, whether hard or wet wood, without noticing any damages. It’s best that you choose the splitter that can withstand even the toughest splitting jobs. For this, keep an eye on the equipment’s total RAM splitting pressure, and total horsepower. Log Length and Diameter Range: Always remember that the log length and the diameter range that a log splitter can accommodate, determines the amount of tasks you can finish in a given time. It’s also important that you get the equipment that’s capable to work with more than enough wood size. 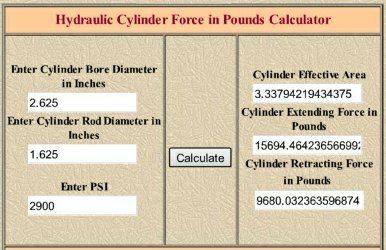 The diameter range of a log splitter is also an important point to pay attention to. It’s more convenient to have a splitter that can tackle larger diameters of wood. Wheels: Portability also means convenience especially when you have to transfer from one place to another in an area to do splitting jobs or to store your equipment. 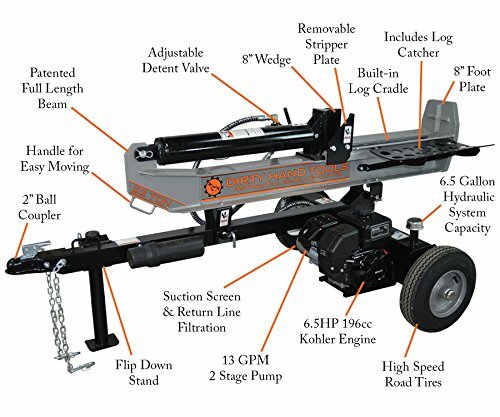 With log splitters that have wheels, transporting it is made really easy. Having an option to store it in a much safer place protects it from elements that can affect the splitter’s structure and performance. Cycle Times: The faster the cycle times that your splitter has, the more splitting tasks you’ll be able to finish in less amount of time. This also allows high level of tool efficiency and productivity. Construction: See to it that the log splitter you’re checking out is constructed mainly of steel. Durability will always be one of the most important points to check out on anything, and this especially goes with this kind of equipment. Log splitters are specifically designed to be in use for many years so ensure that the splitting equipment you’re about to purchase has a heavy duty steel construction. Warranty: With the price that log splitters come with and the work it does for splitting, make sure that it includes at least 1 year of warranty from its manufacturer. Manufacturer: Like everything else, the brand or manufacturer is one of the things that catch the eyes of buyers. Basically, with more popular brands, higher quality products are expected. 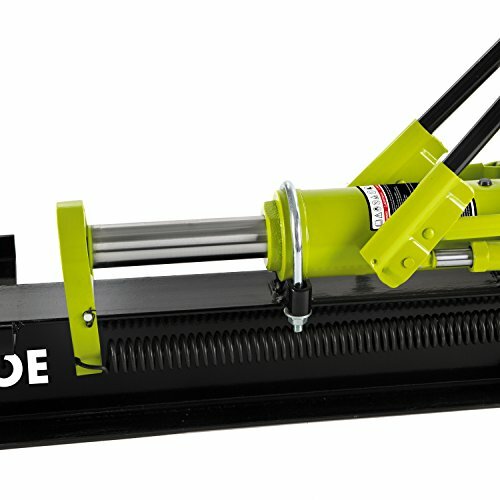 Some of the manufacturers that are building up a nice reputation in the wood industry are Troy-Bilt, Pow ‘R’ Kraft, Powerhouse, WOODEZE, and Swisher. There are also smaller brands that produce quality log splitters; however, the mentioned brands are the first choices of consumers. 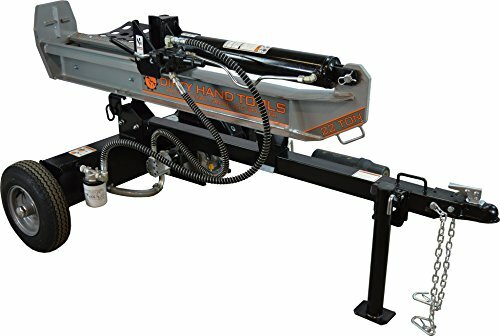 As what have been told earlier, there’s a variety of log splitters in the market today, and it’s pretty hard to distinguish what you really need to buy. 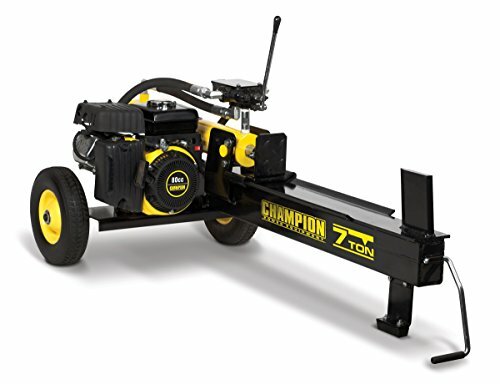 Here are 6 log splitters manufactured by different brands, with each having a short summary. 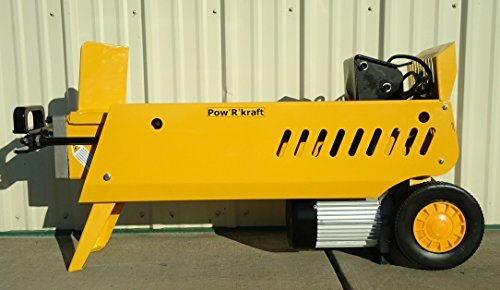 This first product in the list comes from Pow ‘R’ Kraft, a tool company that’s famous for its production of power equipment like wood chippers, snow blowers, and log splitters. One of their best models of log splitters is this model, 65575. The unit has 2 speeds that allow you to gain more control over the splitting job. You can use 4 tons of splitting pressure when at low speed and 7 tons when working at high speed. 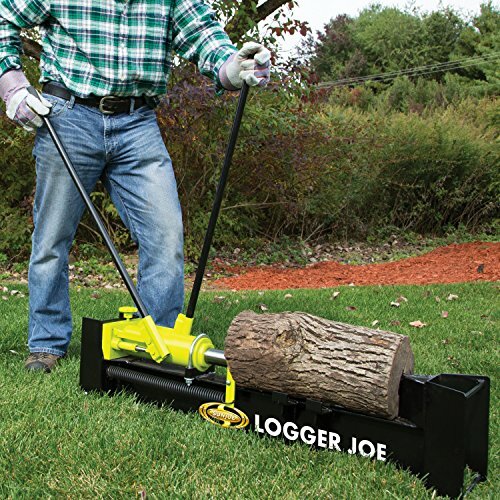 It can handle and work on logs with a length of up to 20 inches and a diameter of 12 inches. 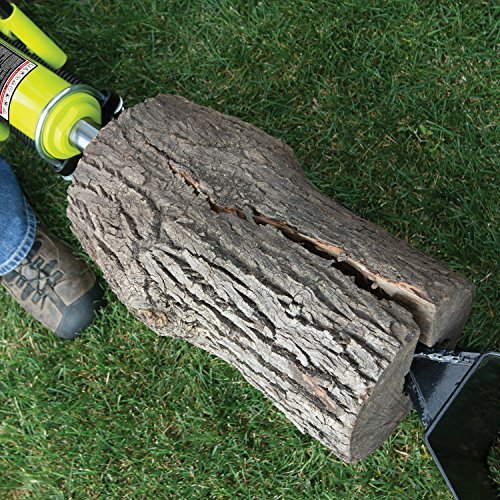 This log splitter is powered by electricity, meaning gasoline isn’t part of its system; thus, saving you money for refilling and time when checking oil levels. If electrical overload is one of the problems that may occur with this equipment, worry not as a fault ground breaker is included in the package, providing you additional protection. 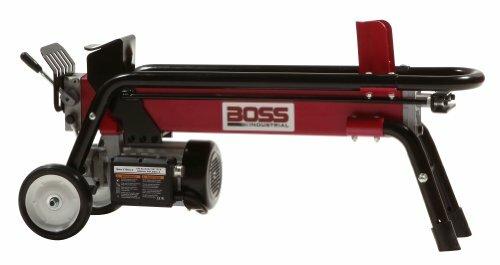 This electric log splitter has an “All Steel” construction, being specifically designed to give you a highly durable cutting device that guarantees long time of usage. The company also guarantees a 2 year warranty for this unit, ensuring an easy return or replacement process when defects are proven. Just an important note to keep in mind: its heavy duty extension cord doesn’t come with the unit and is sold separately. Champion Power Equipment is an American-based brand that specializes in producing outdoor equipment. The brand is famous for their production of tools and equipment that are of the highest quality that can withstand even the toughest jobs. 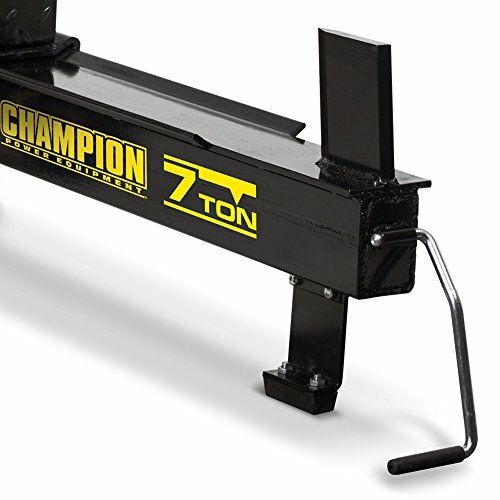 Log splitters are one of the successful products from Champion Power Equipment , specifically talking about the 90720 7-Ton Compact Portable Log Splitter. The model can be used in only horizontal position. 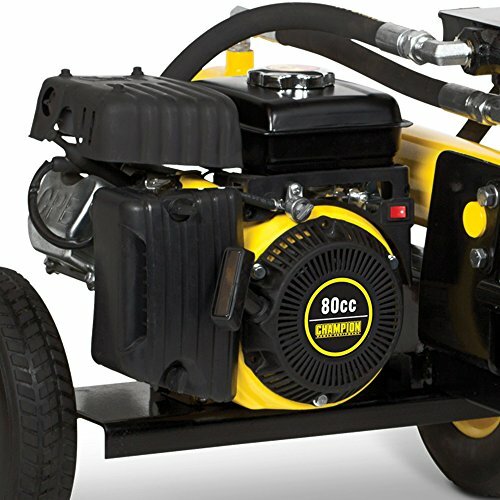 It can handle a log capacity of up to 19.3 inches, using a maximum of 7 tons of splitting pressure. It comes with a skewed edge with helps with the splitting efficiency and evenutally leads to time saving, when you are working on many logs. 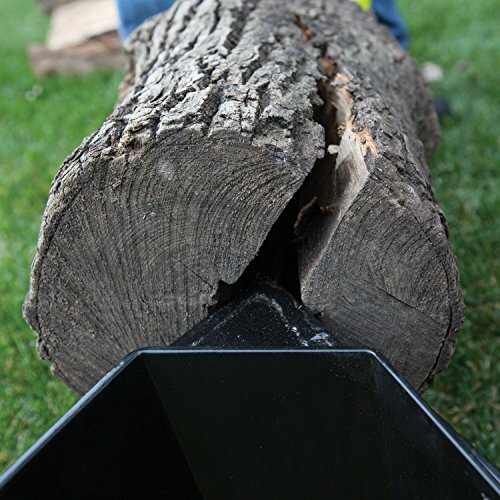 The low profile design allows you to easily put on the logs and split them. Talking about design, the machine is portable, which although means a sacrifice in power, but in return it allows the convinience of easy transport with the never-flat wheel installed on it. The unit also has observes a 20 second cycle time that’s fast enough to increase the productivity of the equipment. It is super durable and the brand guarantees a 2 year warranty for this product to accommodate possible defects and the likes. The XM-380 log splitter model of Powerhouse has 7 tons of RAM splitting pressure with a log capacity of up to 24 inches and a diameter capacity of up 20 ½ x 12 inches. It observes a 5 second return cycle, allowing you to split logs of up to 100 in count in just an hour. No need to worry about running out of gas or oil as it’s electricity powered and can be started up whenever. An overload protection is also provided to protect your equipment from burning out. Aside from these, the unit has wheels to allow additional portability. 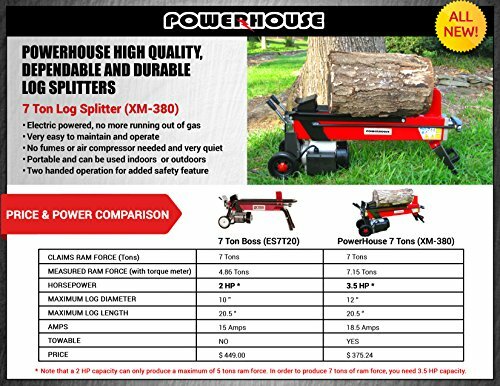 With its more affordable price than other log splitters, the Powerhouse XM-380 is surely worth it. The manufacturer provides a 1 year warranty (after initial purchase) for this unit. This horizontal splitter is known for its strength and its capability of tackling logs of large sizes. The unit itself is very easy to assemble, with it not taking more than 15 minutes to set up. The 100171 uses a splitting force of 22 tons and is powered by gas. Other than its 10.9 second cycle time, its 4-way wedge also provides you up to three times faster splitting processes. This product is considered as one of the easiest log splitter to work with, especially when handling big sized log projects. 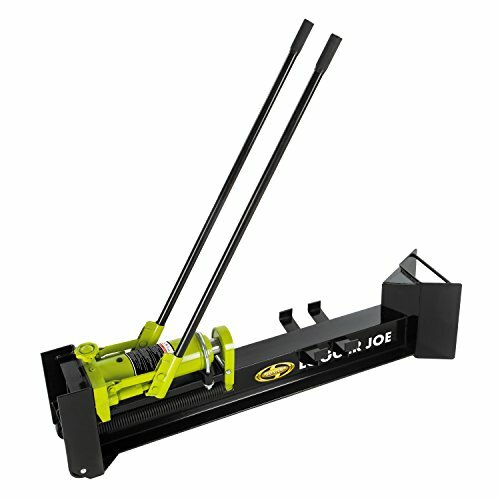 Sun Joe’s LJ10M log splitter model catches people’s attention with its very affordable price. It’s also designed to be lightweight while still providing the features that a basic log splitter has. The unit comes with a two-cycle hydraulic motor that doesn’t require gas or electricity, producing up to 10 tons of splitting pressure. This can also work on a log that measures 18 x 8 inches, with its plate keeping the split wood from falling. 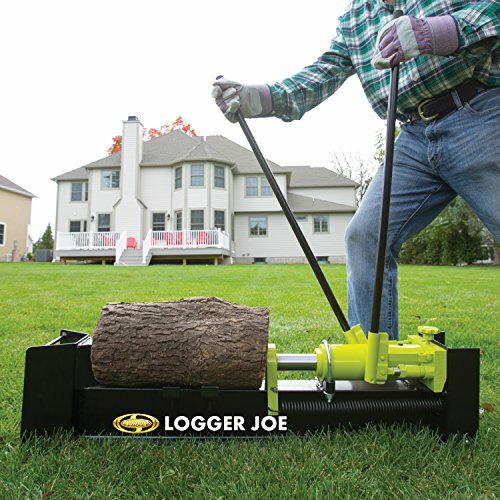 This log splitter model comes with rear wheels to provide ease of transporting it across the yard. In addition to this, it can also be folded in a nicely compact shape to ensure proper and easy storage. LJ10M observes an all steel construction, making it highly durable and allowing for longer time of usage. Sun Joe guarantees a 2 year warranty for this unit. Just a heads up: don’t expect this unit to work as fast as powered log splitters. 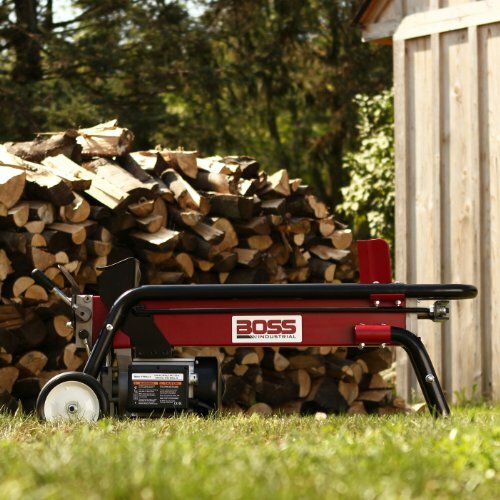 Now there’s a reason why this log splitter model is commonly referred to as the Boss. With its one-touch work feature, it sure is very convenient to use. 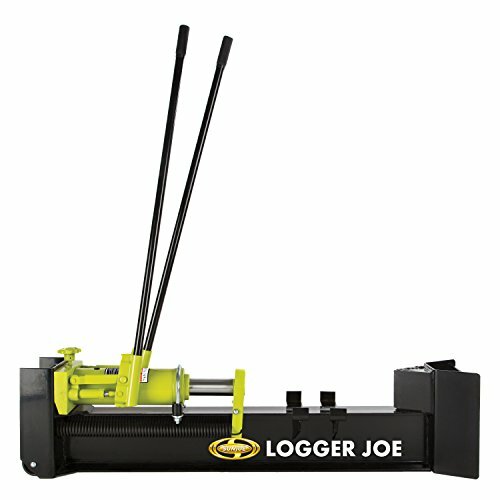 Most log splitters use a two-handed function; this one ensures that you exert less muscle effort to get this equipment working. Because of this, people who have mobility issues or some who prefer using a one-handed working method, have fun with using this splitter. 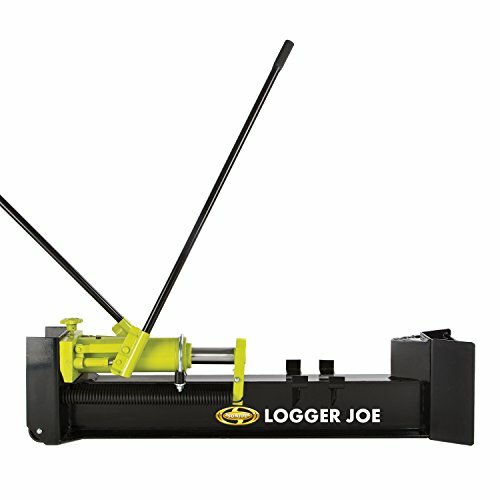 This log splitter has the ability to split one cord per hour and can handle knots with 7 tons of splitting pressure. It’s also suitable for indoor uses as it provides a fumeless operation. The only possible downside of this is that it’s not recommended to use for tough hardwoods. The manufacturer provides a 2 year warranty for residential use of this log splitter unit. 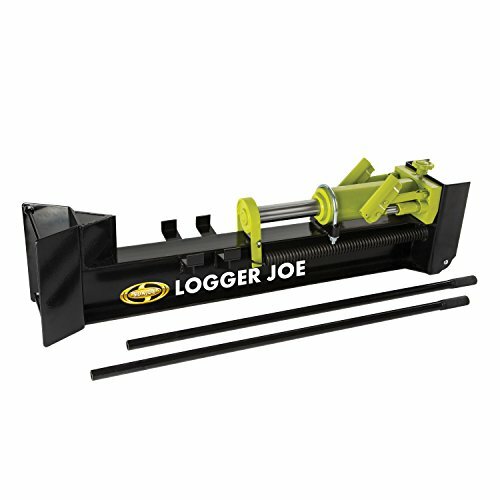 This article shortly discussed and walked you through log splitters; the different types, points to consider about it before buying one, and products. Hopefully, this has helped you know a little more about this cutting equipment.